Can you guess what all these Americans have in common? Yes, several are, or were, political figures serving at various levels in the U.S government. Three ran for president and one was elected to office. But they also have something else in common, lesser known, but still very important to you. What they have all done—along with thousands of other intelligent American investors and companies—is make safe investments and use income-producing legal structures based in the Cayman Islands. All these Americans presumably pay applicable taxes on the investments they report to the IRS, but they deliberately set up these investments in the Cayman Islands because the combination of laws there, as well as U.S. tax breaks, can, and do, help to legally reduce their U.S. tax burdens. If they can do it, why can’t you? Forget the irresponsible and undeserved media-manufactured reputation. The Cayman Islands is an offshore financial center that makes a fetish of clean money and it’s run with great care—after all, money and profit are the Islands’ major commodities, and anything that harms its reputation harms both. The Cayman Islands Monetary Authority (CIMA) regulates and supervises all aspects of the financial services industry. It administers special, modern, constantly updated statutes and rules that govern banks, trusts, corporations, insurance, investment funds, securities, money transfer companies, and cooperative and building societies. The Caymans are indeed a tax haven, with no apologies for that blissful state of tax freedom so unusual for Americans, the British, French and so many other suffering taxpayers. There are no personal taxes on income, capital gains or sales of real estate, nor are there any death duties, nor inheritance or gift taxes. 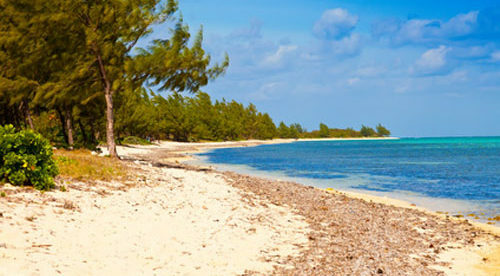 The Cayman Islands levy no taxes on corporate income. An annual fee is levied on all companies and banks based on shared capital. Duties on imported goods average 22%, with certain items duty free. While under the 2001 U.S. PATRIOT Act, privacy is dead in America—that was true well before the current revelations concerning constant National Security Agency (NSA) spying on the emails, credit cards, phone calls and movements of all Americans all the time—in the Cayman Islands, the right to privacy is still strong. That’s because its legal system is based on British common law, the 1995 Banks and Trust Companies Law and the 1995 Confidential Relationships Preservation Law. Banking staff and government officials face civil and criminal sanctions if information is disclosed without authorization. Several laws permit the enforcement of foreign judgments or the disclosure of information in response to a court order, but usually only based on probable cause of criminal activity or drug use or dealing. The Proceeds of Criminal Conduct Law embodies international “know your customer” rules and requires depositors to provide banks with due diligence documentation: a passport and driving license, proof of physical address, an outline of banking activities and other proofs. The Cayman Islands have tax information exchange agreements (TIEAs) in place with the United States and 18 other governments, including Argentina, Aruba, Australia, Canada, China, and the United Kingdom. And this haven is convenient to get to. It takes a little over an hour to fly from Miami International Airport (MIA) to Owen Roberts International Airport (GCM) in Grand Cayman, only 75 miles off the south coast of Cuba. These sunny islands are a safe and clean place to do business—and even to reduce your taxes. In spite of having been made a political issue in the U.S., the U.K. and elsewhere, the Cayman Islands offer a host of useful legal entities and activities governed by British common law (as well as the U.S.) and by well-crafted and up-to-date laws and rules. They offer much stronger asset protection and privacy than does the PATRIOT Act-ruled U.S. The Cayman Islands do cater to the very wealthy and to international corporations seeking to maximize tax advantages in a well-developed professional no-tax haven, but there are smiling faces waiting to welcome you, too. And it is a great place for a beach vacation — for fun in the sun after you complete your U.S. tax-deductible travel and business. You might even want to consider a beachfront second home. As I did, come down and see for yourself. Editor’s Note: Get more expat advice on second citizenship, banking privacy and offshore investing in our offshore section.